This is one of my new collaborations with polarity.etsy.com She is a wonderful artist that makes these fantastic lockets! This adorable, industrial little locket is created from a recycled steel auto part to which she has silver soldered a little eye-hook. 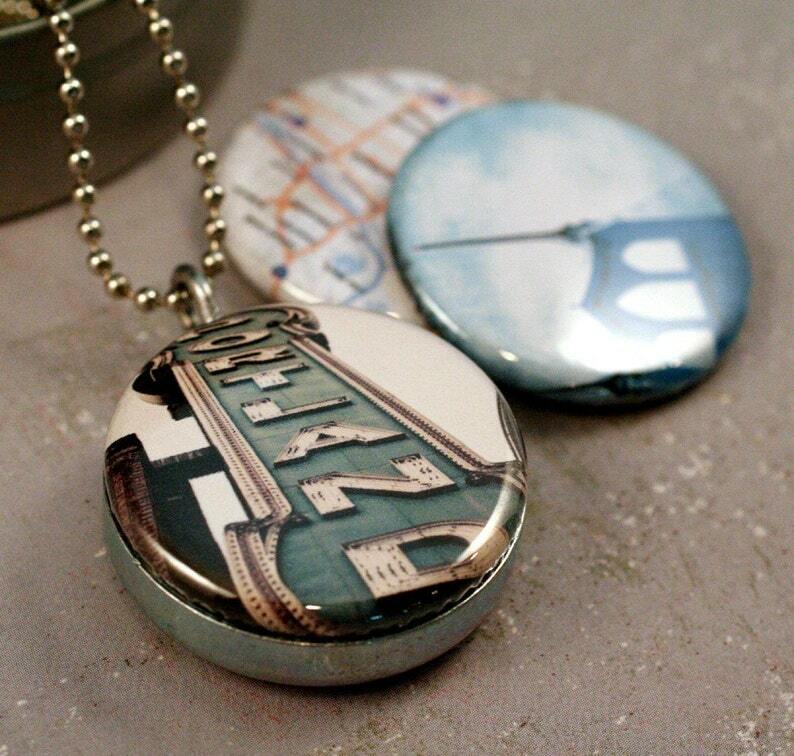 The locket has 3 magnetic interchangeable lids - two with images of The St. John's Bridge, the Portland sign from the Center for Performing Arts building, and one of Portland on a map. Your locket comes on an adjustable length 30" 2mm nickel plated brass ball chain. Locket is 1 1/4". All Polarity jewelry including the changeable magnetic top is copyrighted 2008 and 2009; all designs used on the jewelry are copyrighted by HouseofSixCats and used here with permission.